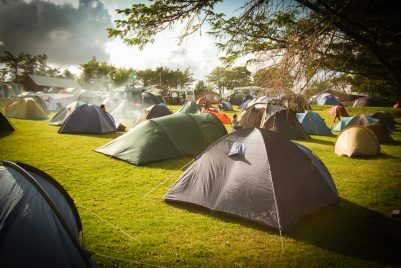 Tents 31 (4 with electric) Maximum size tent for electric pitch is 6m. 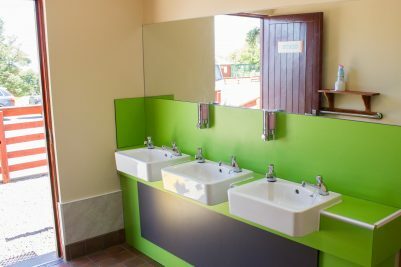 The newly-refurbished amenities block provides toilets, free showers, disabled toilet and shower, and a vanity room. 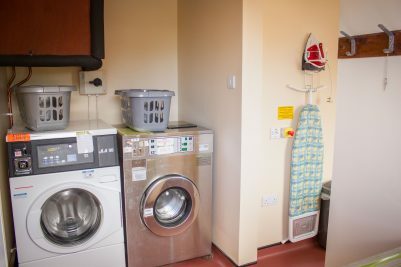 The laundry has two coin (£1) operated washing machines, a tumble drier (50p) and ironing board. A dishwashing room is also provided. A chemical toilet disposal point is located at the amenities block and several water stand pipes are provided around the park. A drive over waste water disposal point is located in the road opposite reception. 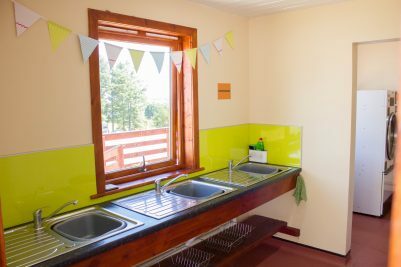 A campers’ kitchen is equipped with electric hobs, refrigerators, microwave, kettle, and toaster. 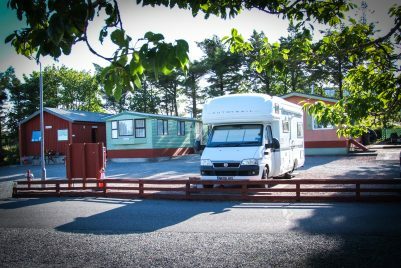 Wi-Fi is available for £3 per stay. Festival pitch availability – Touring and motor caravan pitches and electric tent pitches require to be booked in advance and full payment made at time of booking. An additional park 100m away from main park is opened up for the festival period. Toilets, sinks and dish washing facilities are provided here but showers are only a short walk away on the main site. 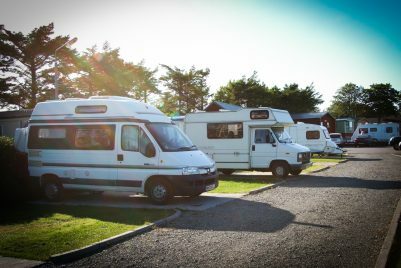 No bookings are taken for tent pitches but there is adequate space on the additional park to guarantee a pitch for festival-goers. Those wishing to camp on the main park are advised to arrive by the Tuesday before the festival.